Here are a few of my personal favourite looks featured on the 2014 runways. The diversity of the selection represents different auras of the fashion world, ranging from designers edging out their catwalks by creating beautiful editorial looks to complement their designs. 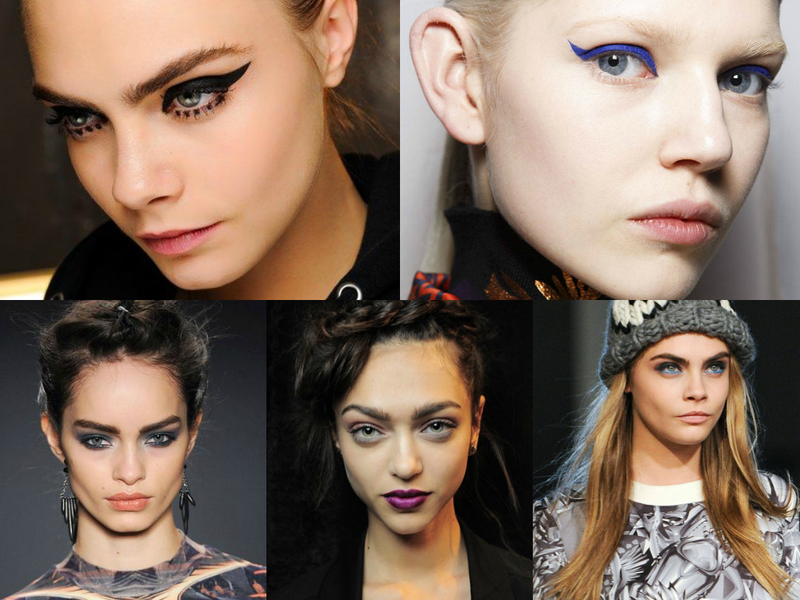 This seasons makeup trends range from high brow definition to bold eye liner colours to create unique edgy looks for the catwalk. 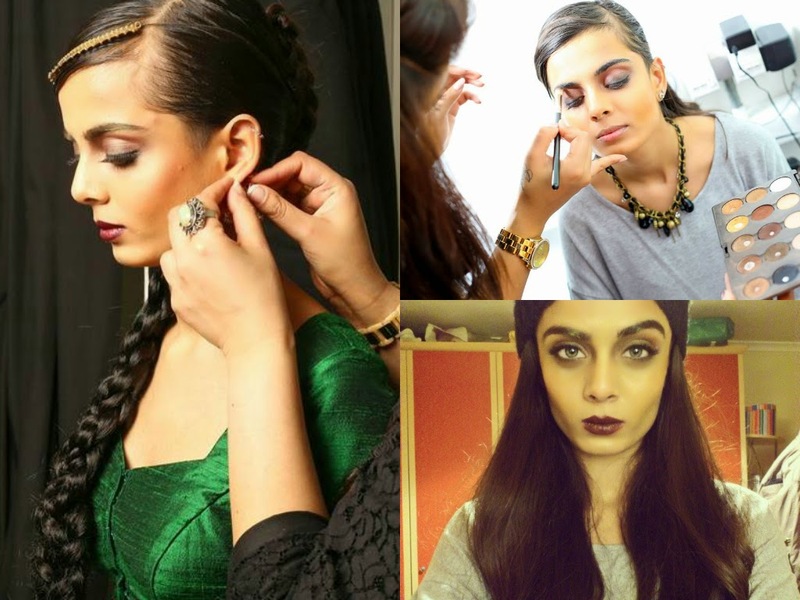 I have previously worked with great makeup artist's such as Vithya, whom has opened up my perception of hair and makeup seen on the runways. From working with her and seeing her portfolio of work it is clear she has a distinctive eye when it comes to hair and makeup and a mind bursting with creativeness. She takes inspiration from a multitude of platforms and combines different aspects with personal taste to create amazing looks. One of Vithya's favourite looks was by Antonio Berardi, the simplistic make up concept complemented by glowing skin enhances the boldness of the statement lips creating a flawless high fashion appearance. 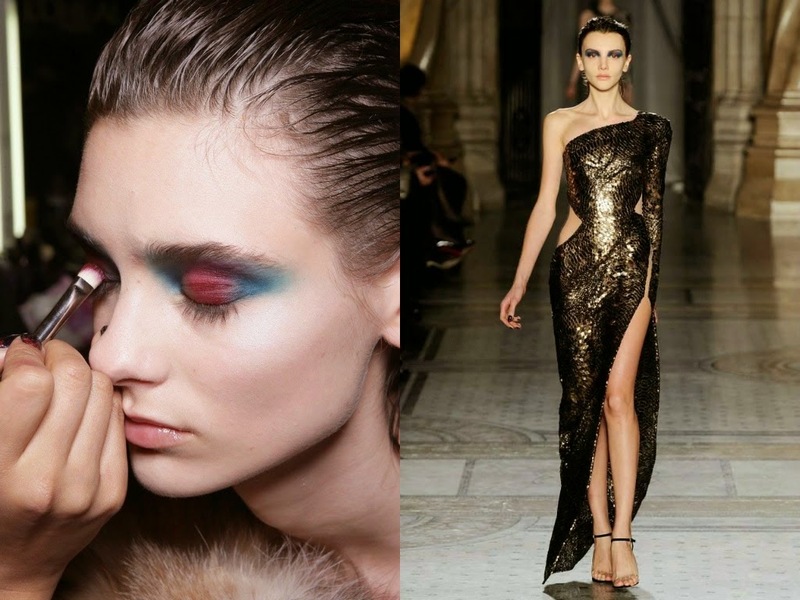 Another personal favourites of Vithya is the scraped back look as seen at LFW 2014 by Julien MacDonald. The minimalist make up complemented by the sleek hair makes an effortless edgy look. This catwalk formed inspiration for many of her future looks such as the photo shoot I most recently worked with her at. 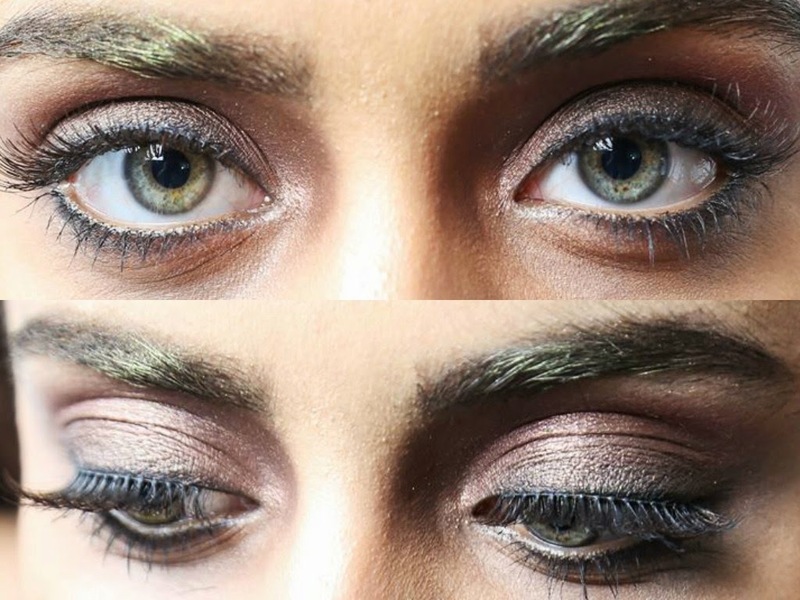 I enjoyed modelling for Vithya as she created an amazing look inspired by editorial features on myself. By switching up the traditional Asian look the garment provided by adding an edgy editorial look with the hair and makeup. I love the golden brow concept as many designers are emphasising on heavy thick eye brows with hints of depth and colour. The plum lips served as a statement to finish off the gothic essence to the look. It was an amazing experience to work with Vithya as she is an inspiring passionate hair and makeup artist whom strives to test the boundaries within fashion. She has succeeded in pulling off a range of looks ranging from bridal, fashion and editorial. You've totally inspired me and others I am sure, to be more creative with make-up. I love the classical Indian Make-over you have showcased, and hope you show us your everyday make-up routine. I'll be trying out the coloured eye-liner look for sure!